Here at SHARK PARTYS we Pride ourselves to give our sharks & animals the most optimum care. It’s all about the atmosphere! 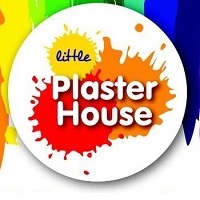 Our fun, bright and chilled out kid’s plaster painting party venue is the perfect backdrop for a creative experience and the studio is yours exclusively for the event. Every child loves a party! We at Sydney Party Limos specialise in kids and teens parties on board our Mercedes limousine party bus. We have been serving the people of Sydney for the past 20 years with discounted party goods catering supplies and party food to suit all ages and all occasions. At The Party People Shop, we believe everyone should have their dream party. We stock the largest range of party supplies in Australia with over 25,000 products including Themed Decorations, Balloons, Catering Supplies, Confectionary, Seasonal Merchandise, Sports Supporter Products and Costumes. Whether it be kids theme or adult parties, we supply a whole range of party supplies like theme plates, napkins, cups, table covers, invitations, lolly bags, and other decorations. We also carry Australia's largest range of disposable party goods in almost every colour. Everything you need to give your party that wow factor. From cake decorations & candles to confetti & banners. 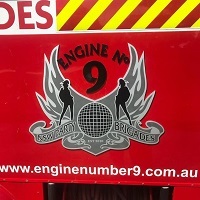 Engine Number 9 Fire Truck rides and parties will introduce you and your children to the wonderful world of fire apparatus. See very special equipment, meet Firemen, water blast with the Fire Hose and go for a ride with lots of action in the greatest children's party Fire Truck ever built! Indykarts are the only geared, motorcycle powered indoor karts in the world. They are designed to give you the closest "real racing" experience that can be had indoors. We are based in Sydney, in the lovely suburb of Kirrawee in the Sutherland Shire. We pride ourselves on our impeccable customer service and our fast turnaround of orders. Our customers are our number one priority.